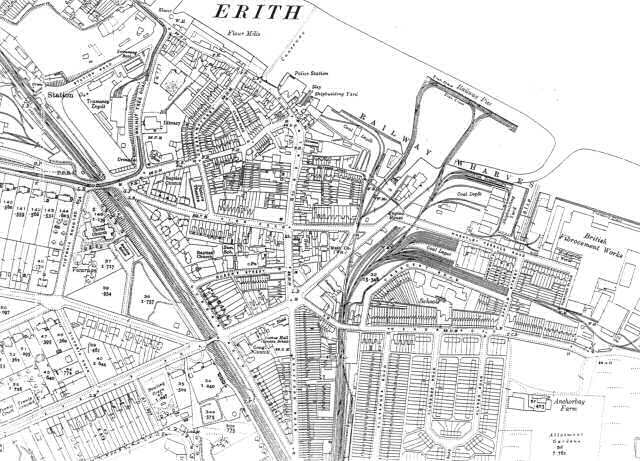 This map shows the further development of Erith in terms of industry and public services, as well as housing. There is a new British Fibrocement works to the east of the Railway Wharves. 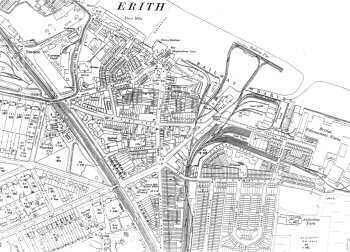 Tramways link the town with London in the west, and there are swimming baths, a library and council offices. New streets have been laid south of Manor Road, but Anchorbay Farm can still be seen at the south-eastern corner of the map.